Youngstar has galloped with company at Caulfield in preparation for the $5 million Caulfield Cup. Queensland Oaks winner Youngstar has pleased her trainer and rider in her first look at Caulfield. 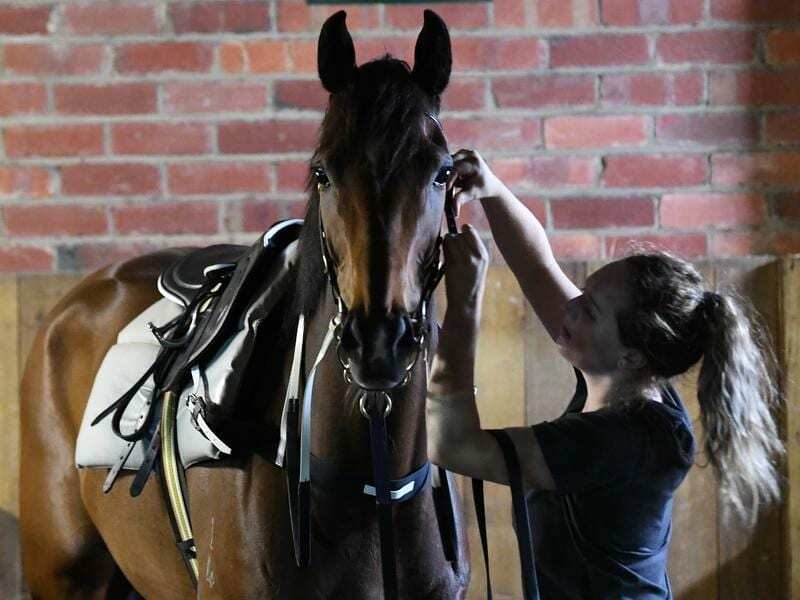 The Caulfield Cup favourite galloped on the course proper with her Chris Waller-trained stablemate Finche in preparation for Saturday’s 2400m handicap. Jockey Kerrin McEvoy was aboard the mare and said she handled the track, finishing on terms with her companion after trailing the import early in the gallop. The pair weren’t out to break the clock but Waller and McEvoy were happy with the work. “Running second behind Winx (in the Turnbull Stakes) as your semi-final run for your grand final was perfect,” Waller said. McEvoy said Youngstar was strong through the line in her work, suggesting she’s ready for Saturday’s race. Waller said he only learned about the Caulfield Cup defection of impressive Herbert Power Stakes winner Yucatan when he turned up for trackwork on Tuesday. Yucatan was promoted to favouritism after winning at Caulfield last Saturday but Youngstar sits at the top of betting in his absence. “I didn’t know about Yucatan until this morning but I very much just concentrate on my own horses,” Waller said. “If they’re fast enough they can win races, if they’re not fast enough, or not properly trained, they won’t. McEvoy admitted he received a pleasant surprise when he found out Yucatan would not be an acceptor and he rates his mount as an ideal Caulfield Cup prospect. “She’s a four-year-old mare with a light weight on her back that has the ability to quicken over 2400 metres at a high level,” McEvoy said. Waller was tossing up whether to run Finche on Saturday with the Melbourne Cup on November 6 his aim. “Does he need a really hard run before the Melbourne Cup?,” Waller queried.